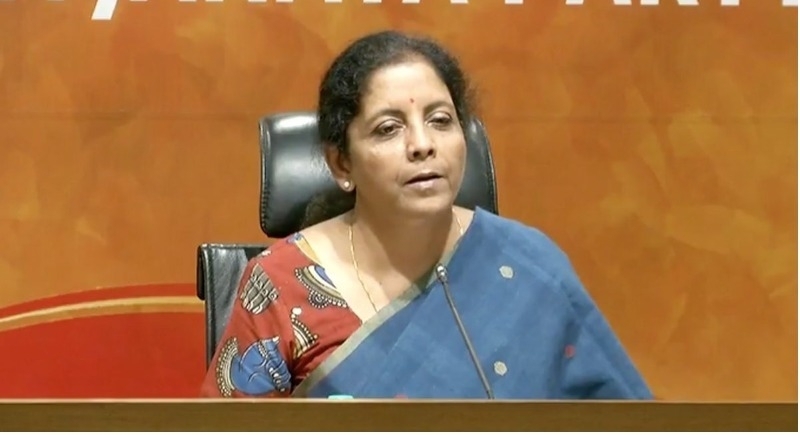 New Delhi, May 14: While reiterating that Jammu and Kashmir is an integral part of India, Defence Minister Nirmala Sitharaman on Sunday said that Indian Army has to firmly handle any terrorism which threatens the peace and harmony of the valley and there will be no let-up on terror as we will take action every minute. Notably, while briefing the media, Defence Minister Nirmala Sitharaman rejected the ceasefire demand of Jammu and Kashmir Chief Minister Mehbooba Mufti in the state during the period of Ramzan and Amarnath Yatra and said that Indian Army has to firmly handle any terrorism which threatens the peace and harmony of the valley. She said, “Indian Army has to firmly handle any terrorism which threatens the peace and harmony of Jammu and Kashmir. The Army’s position is that it has to be firm on terrorism.” There will be no let-up on terror. We will take action every minute,” Sitharaman added. Earlier, CM Mehbooba Mufti claimed that the all-party meeting had agreed to appeal to the Centre to announce a ceasefire in Jammu and Kashmir during Ramzan and Amarnath Yatra. Days after Pakistan’s ousted Prime Minister Nawaz Sharif publicly accepted that the handlers of 26/11 Mumbai terror attack were in Pakistan, Defence Minister Nirmala Sitharaman quoted it a very serious disclosure. India’s position has been that the mastermind of the Mumbai terror attack operated from Pakistan. We strongly believe that the handlers of the attack were in Pakistan,” Sitharaman noted. Sharif’s remark only proves that India’s stand has been right all the way,” she added. On Friday last week, Pakistan’s ousted PM Nawaz Sharif made a startling revelation about the role of Pakistan in the 26/11 terror attacks on Mumbai that took the lives of 160 people besides damaging property worth crores. In an interview to Dawn newspaper, Sharif admitted that terrorist organizations were thriving in Pakistan and terrorists from these outfits were responsible for the series of coordinated terror attacks in Mumbai in November 2008 that attracted the attention of the entire world. “Militant organizations are active. Call them non-state actors, should we allow them to cross the border and kill 150 people in Mumbai?” Sharif said. He also raised questions over the delay in completing the trial into Mumbai attacks and asked, “why the trial was stalled in a Rawalpindi anti-terrorism court?” “Why can’t we complete the trail? It is absolutely unacceptable”, he added.